Police are appealing for help in tracing a thief who stole a charity box from a takeaway in Lurgan. 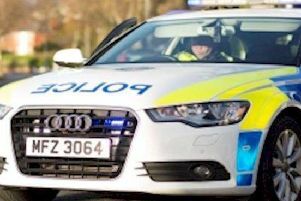 The theft happened on Wednesday night (April 3), between the hours of 11.55pm and 12.05am when a male entered the Golden Treasure Chinese, at Gilpinstown Road and collected some food. A police spokesman said: “This male then stole a charity box from the counter and left with his food and the charity box, which contained money to go to those in need. “There is thankfully great CCTV of this incident and the male in question is shown very clearly (it is a nice clear picture of his face). “Was this you? If it was phone 101 and quote the crime reference number 931 04/04/19 or call into your local police station and own up. If not this very clear image of your face will make it on to social media as part of Op Exposure for all our followers to see.